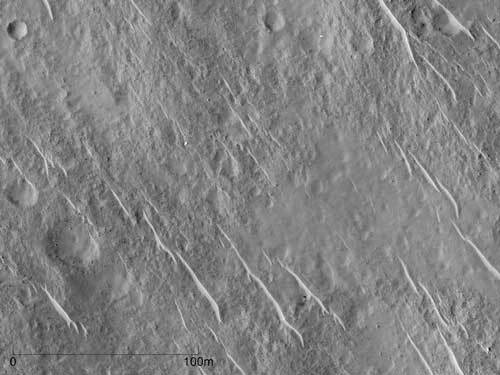 (Nanowerk News) Exciting pictures of the Beagle-2 lander, the ancient lakebeds discovered by NASA’s Curiosity rover, NASA’s MER-A rover tracks and Home Plate’s rocks have been released by the UCL researchers who stacked and matched images taken from orbit, to reveal objects at a resolution up to five times greater than previously achieved. A paper describing the technique, called Super-Resolution Restoration (SRR), was published in Planetary and Space Science in February ("A novel method for surface exploration: Super-resolution restoration of Mars repeat-pass orbital imagery") but has only recently been used to focus on specific objects on Mars. The technique could be used to search for other artefacts from past failed landings as well as identify safe landing locations for future rover missions. It will also allow scientists to explore vastly more terrain than is possible with a single rover.